Millions of children are transported to and from school by bus each day. Although most school buses arrive at their destinations safely, accidents and injuries can occur. In fact, the National Highway and Traffic Safety Administration (NHTSA) has reported that approximately 17,000 children are injured as a result of school bus accidents. This may seem like a relatively small number when you compare it with the number of children who ride school buses, but each injury impacts countless friends and family members. This is why t is essential to have an Orlando Florida Car Accident Lawyer by your side when accidents occur. 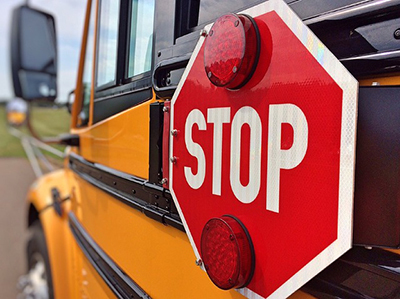 What Should I Do If My Child Has Been Involved in a School Bus Accident? If your child has been injured in a school bus accident, you might be confused about the actions that you should take. At Payer Law Group, our attorneys understand the impact of a school bus accident on your emotional well-being. We have developed a guideline for you to follow if you are in this situation. Here are a few actions that you can take. Your child may not have any obvious signs of injuries, but this does not mean that there is no presence of internal injuries. Seek medical treatment for your child after any accident. During treatment, ask the health care professionals plenty of questions and take copious notes. Always follow the prescribed treatment plan and attend follow-up visits as directed. Strong emotions can cause you to make comments that can be used against you if your Orlando FL car accident lawyer files a civil suit on your behalf. This is especially true when you speak to insurance claims adjusters. Refrain from discussing the details of the accident with any person. Refer all inquiries to your attorney. Your cell phone is an indispensable tool when it comes to gathering evidence from the scene of a bus accident. Use your device to take pictures of the bus, your child’s injuries and the accident scene. Get contact information from witnesses and other parents. Save your evidence and present it to your Orlando FL car accident lawyer. Our lawyers at Payer law group can assist you in getting the compensation that your child deserves. We follow a systematic approach that takes the stress out of dealing with your child’s bus accident. Here is how we will handle your case. Our attorneys will address your concerns. Based on your desired outcome, we will fight to help you achieve your goals. We will seek compensation from responsible parties. This includes the school system, bus company, bus manufacturer and third parties that maintain the vehicle. To learn more about our school bus accident attorney services in Orlando, we invite you to contact the Payer Law Group.